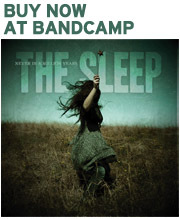 Dave, guitarist for The Sleep, has a collection of his songs available for purchase online at Artzuno.com. The album is called Handmade. If you haven’t heard of Artzuno, it is a new site that “offers consumers of music, visual arts, theater, film and literature the opportunity to obtain high quality, professionally created products in many mediums including, but not limited to, all genres of music, painting, sculpture, photography, dance, performing arts, film, poetry and literature.” The really cool thing is that no less than 85% of sales go to the artists. That’s refreshing! You can find his wildly popular tune “Superman Falls” there, along with nine other tracks. Pop over, put your feet up and listen to some samples.